I love this old fan, my husband gave me many years ago. Hard to find these in this day and age. Lovely colors. Very lovely.....I have one for many years too...beautiful pattern. 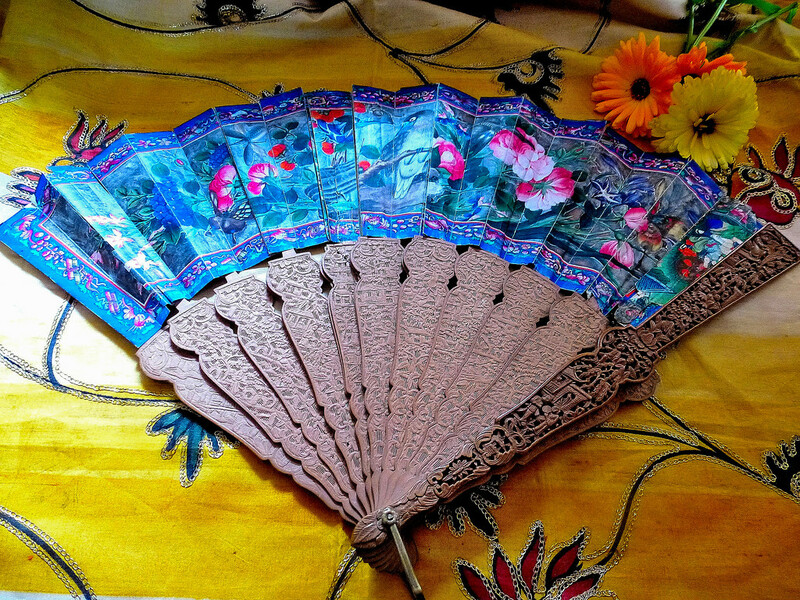 A very colourful and beautiful fan with different textures.